We face a great challenge in terms of communication. 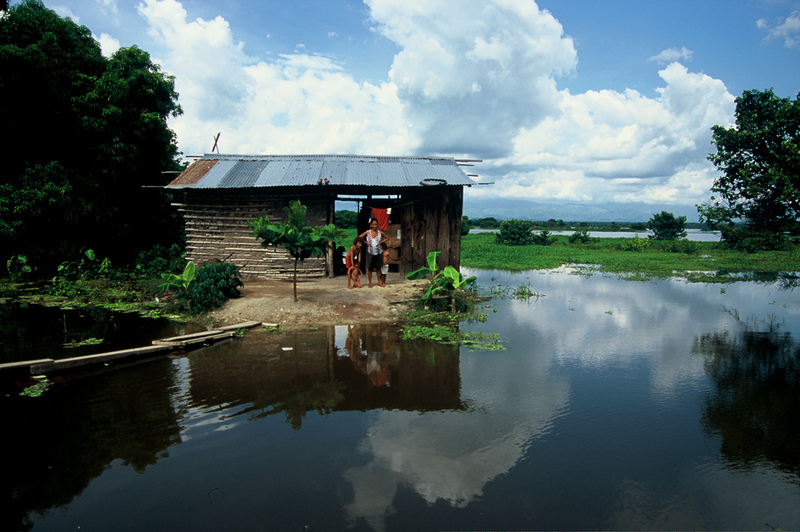 Mankind faces water and sanitation problems whose solution becomes increasingly urgent every year. Climate change, social conflicts and demographic movements generate uncertainties that require the maximum awareness of society to fight its negative effects on the efficient and fair management of water and sanitation around the world. This awareness will be the result of the advances we make in terms of social dialogue. Without this it will not be possible to act with efficiency and sustainability. Not everything is a matter of money or technology; if dialogue is present, civil society is empowered, thus creating a solid foundation to face the uncertainties with the greatest likelihood of success. An important effort in terms of communication is necessary to do this: society has to receive clear, convincing messages, without generating any confusion or alarm, but provoking empathy, inciting reflective dialogue and leading to a commitment to solidarity. This has been one of the goals of the We Are Water Foundation since its establishment almost 10 years ago. Throughout this time we have witnessed important changes in the approach to the problems of access to water and sanitation, we have received increasingly more relevant information on climate and food security, new war and social conflicts have arisen, in addition to an accelerated technological evolution in the supply and treatment of water. During all these years the global community has surpassed the Millennium Development Goals with unequal success and has faced the Sustainable Development Goals with greater experience and specificity with regard to water and sanitation. In 2018, the We Are Water Foundation has achieved a significant expansion in regard to the visibility of its core message: to raise awareness among society of the lack of water and sanitation around the world. The communication contents have focused on transmitting knowledge about the enormous planetary challenge of water with a focus on the Sustainable Development Objectives, which has allowed joining efforts with other institutions such as United Nations, educational centers and collaborating NGOs to advance with greater social penetration capacity. The Foundation has continued to actively develop the campaign #NoWalking4Water, to denounce the enormous scourge that the hours invested in fetching water by millions of women and children represent for large areas of the planet. We have also driven the campaign The Hidden Life of Water that highlights the concepts related to water, such as progress, education or equality and which is configured as a platform to transmit the knowledge needed to understand the meaning of the access to water on a global and human scale. Another milestone in the field of communication has been the expansion of the We Art Water Film Festival,which has doubled the participation in its fourth edition, reaching 2,400 registered authors from 127 countries. This initiative reaffirms itself as a reference point in the dissemination of the water messages, thanks to the universal language of cinema and it has been able to internationally convey ideas, denunciations and experiences, many of which were unknown to most people. 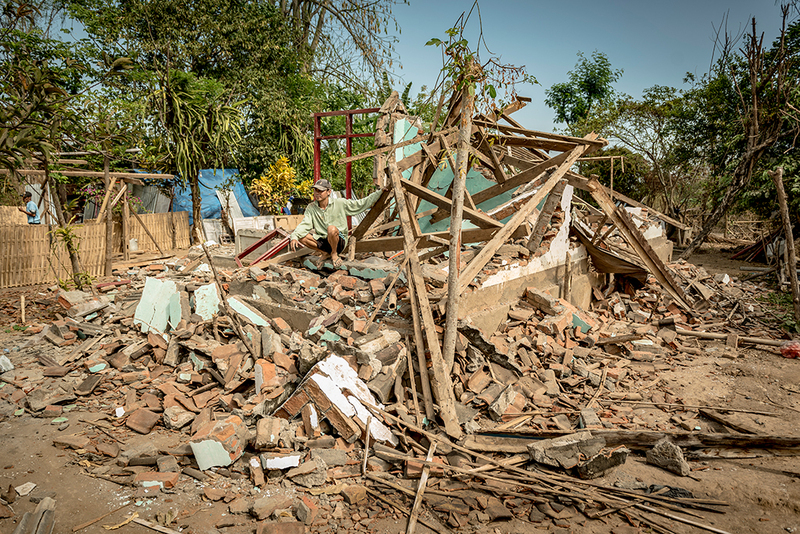 This intense activity in communication has been jointly developed with the other main goal of the Foundation: the aid projects, which have already benefited more than 550,000 people in the most disadvantaged areas of the planet. This work has been endorsed by the winning of four awards at the 5th edition of the iAgua Awards: Best Feature in a Magazine, Best Presentation, Best Strategy on Social Media and Best Foundation. 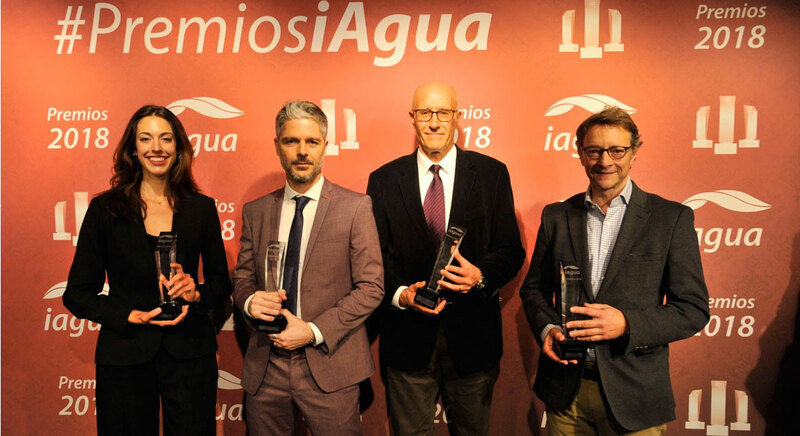 These awards, the most important in the Spanish-speaking world in the water and sanitation sector, were presented at the award ceremony at the Roca Madrid Gallery on the 19th December. Santi Serrat, content manager of the Foundation, referred to this challenge when receiving the award to the Best Feature in the Magazine iAgua, Circles need to be closed for everyone, an award the Foundation receives for the third consecutive time: “We face a great communication challenge to raise the greatest awareness with regard to the access to water and sanitation; to gain presence within the sector and to do so with success is the best encouragement for the goals of the Foundation.” The article addresses the paradigm shift forced by circular economy and reveals the asymmetries between rich and poor countries as they move towards this new economic model. Regarding the institutional development, 2018 has meant the consolidation of the new headquarters in India, where the Foundation had already been collaborating since its establishment, opening up enormous possibilities to advance in knowledge and seek solutions to the great problems of the future of the planet. 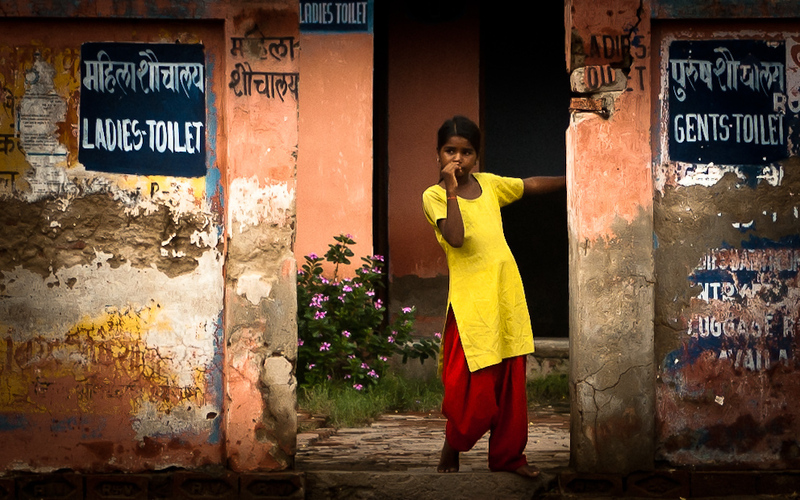 India, which in a few years may be the most populated country on Earth, has all the problems of access to water and sanitation in the world: agricultural overexploitation, open defecation, pollution, gender inequality, urban imbalance, vulnerability to climate change... But it also has the germ of all solutions: a dynamic society that is increasingly advancing in social responsibility and environmental awareness. The presence of the Foundation in the Asian giant will allow us to take a closer look at the water and sanitation challenges faced by this great country, and work more efficiently by developing new projects that join those carried out by the Foundation in the last seven years. A very significant step forward for the Foundation in 2018 has been the joint advance with the United Nations to closely collaborate in the attainment of the maximum global awareness. Alison Smale, UN Under-Secretary-General for Global Communications, in her visit to the Foundation in February, stressed the importance of collaboration in the dissemination of objective and understandable messages. As a result of this visit, Smale invited the Foundation to visit the UN Headquarters in New York City to hold several working meetings with communication officers of UN Water, the Department of Economic and Social Affairs (DESA) and the United Nations Regional Information Center (UNRIC). These were very fruitful meetings, in which the key communication topics were set, along with ways to establish them. The struggle to achieve water security and all Sustainable Development Goals (SDGs) implies the increasing social awareness of the great challenges faced by mankind, which in the world of water and sanitation are many and very important: climate change, endemic poverty, migratory movements and their consequences, cultural taboos, gender inequality… It is a challenge that requires the maximum collaboration, and the Foundation will redouble its efforts along this line. In addition to communicating to raise awareness, the Foundation develops aid projects that will benefit from the experience obtained in these last few years in which it has focused on all aspects of the access to water and sanitation in the 42 projects carried out all around the world: installation of latrines, education on hygiene, cultural development in gender equality, water collection, sustainable irrigation, emergency aid in natural disasters, recovery of ancestral cultures…. The world of water encompasses all disciplines and there the Foundation will continue to move forward. The 5th edition of the We Art Water Film Festival will be presented in September, with the aim of increasing even more the international participation and getting to know new stories and experiences that extend our knowledge about water and sanitation. Another very important aspect of the activities of the Foundation has been the promotion of social dialogue and the dissemination of knowledge from experts in round tables. These have become sounding boards that sow the seed of reflection, a social quality that is essential to move forward in any sector and in 2019 the Foundation will continue to propose new debates to delve into the knowledge of water and the awareness of the urgent problem we need to solve. Only by raising the awareness of international civil society will we be able to generate enough pressure for things to change at a political and legislative level. This is a cross-cutting value that must unite all efforts.